MCE has helped more than 1,700 clients to find solutions to many different challenging problems. Some of the recent success stories are included below. 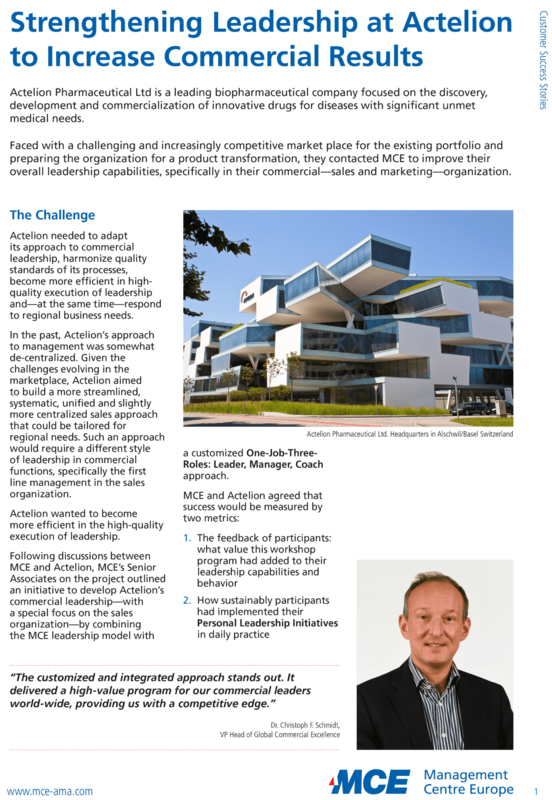 In 2013, Amgen Europe concluded that instead of focusing on external resources such as MBA recruitment programmes to fulfil senior-level job openings it was time to step up efforts to grow internal talent into senior leadership roles. 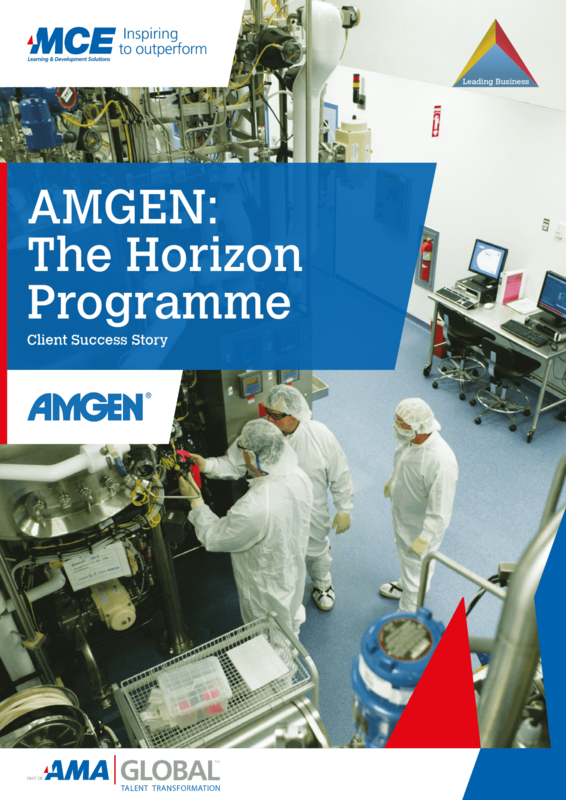 In order to prepare managers for broader functional leadership positions, Amgen wanted a business-focused programme that would provide participants of varied specialist backgrounds with a well-rounded curriculum of business knowledge and skills. Founded in Switzerland in 1874, the Schindler Group is a leading global provider of elevators, escalators and related services. 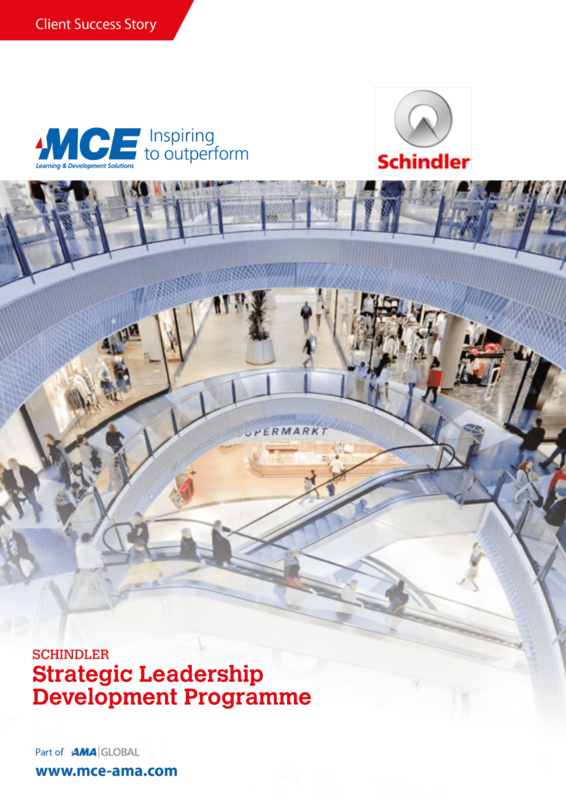 To support Schindler’s growth and market strategy, two of the world’s recognized industry leaders, Schindler and MCE, are partnering on an innovative and strategic Leadership Development Programme. 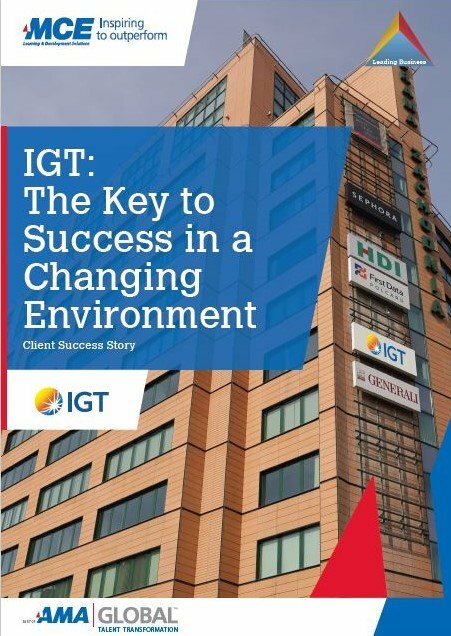 IGT is one of the largest commercial operators and providers of technology in worldwide gaming markets. The industry is changing and is highly competitive, and IGT wants to make sure that its people have the right skills and behaviours to compete in this evolving market space. 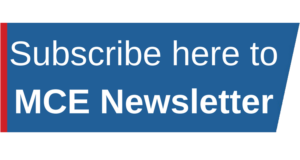 See how IGT & MCE worked together to develop the “IGT – Personal Management – The Key to Success in a Changing Environment” Programme by clicking above. Actelion Pharmaceutical Ltd is a leading biopharmaceutical company focused on the discovery, development and commercialization of innovative drugs for diseases with significant unmet needs. It faced a challenging and increasingly competitive marketplace. Crompton Greaves is India’s largest private sector electrical engineering company. To achieve its strategy, Crompton Greaves knows that it has to develop the right skills and competences of its people to lead and grow the company in the future. When top leaders at NATO began “The NATO Leadership Journey” and the associated suite of MCE-facilitated leadership programs in 2008, they confronted a different set of challenges than they face today. 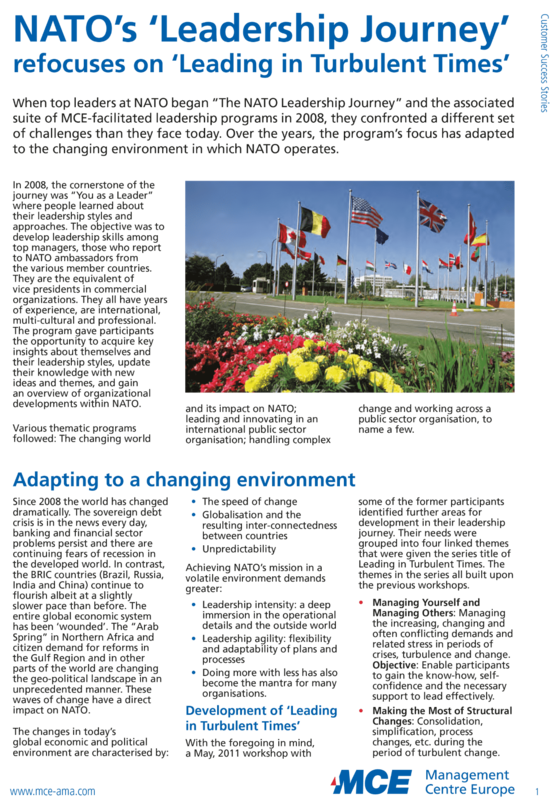 Over the years, the program’s focus has adapted to the changing environment in which NATO operates. 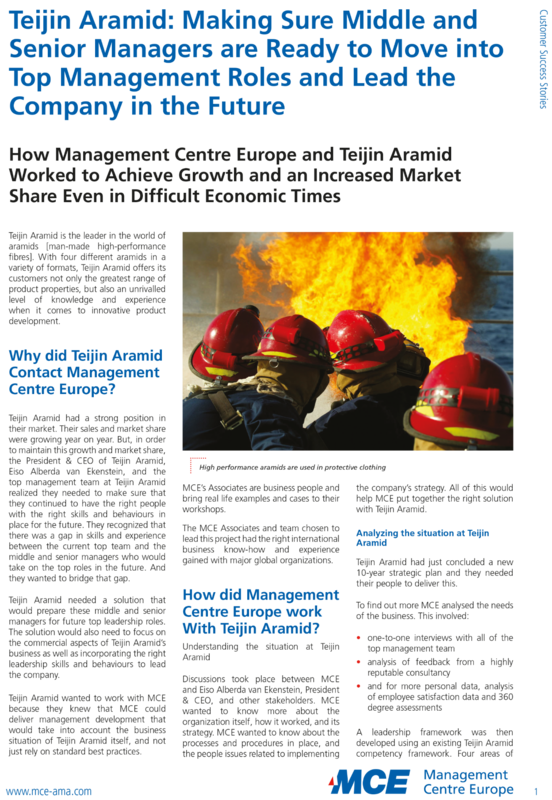 At Teijin Aramid, sales and market share were growing year on year. 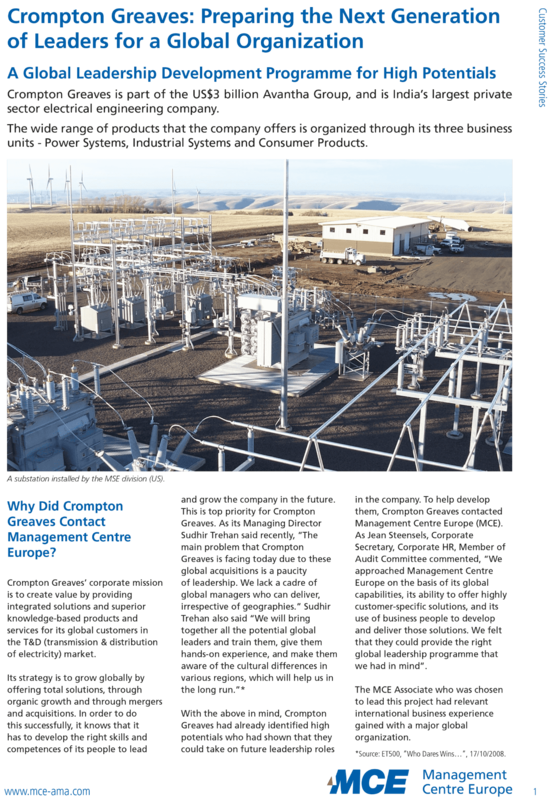 But, to maintain this growth and market share, the company needed to make sure that they continued to have the right people with the right skills and behaviours in place for the future. 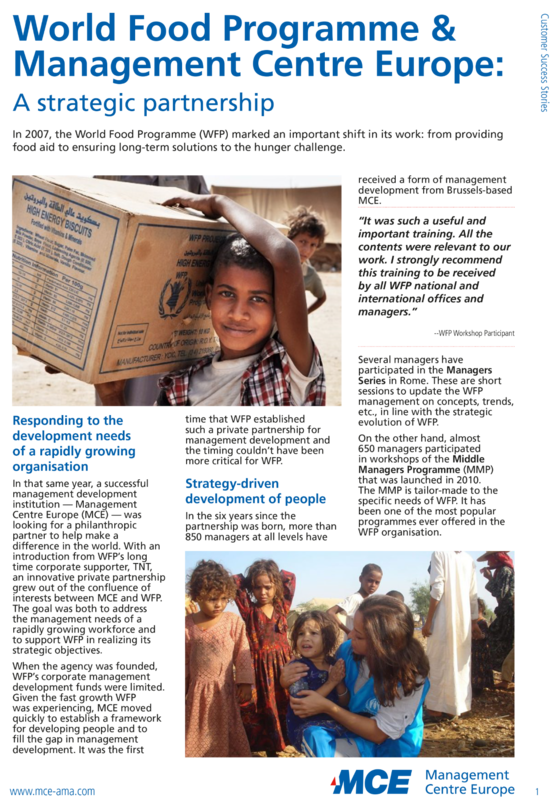 In 2007, the World Food Programme (WFP) marked an important shift in its work: from providing food aid to ensuring long-term solutions to the hunger challenge. In support of the goal, MCE partnered with WFP to help it address the management needs of a rapidly growing workforce.